Discounted Broadway Tickets To Aladdin Starting At $69! ● By booking through NewYork.com, users can get discounts of 10-30% on tickets for Big Apple attractions. Simply go to the pages for NewYork.com’s listings of Broadway shows, tours, museums, or other categories, to check for current specials. ● Package deals like the New York Pass also bundle admission for a number of different attractions, from the Statue of Liberty to the Cloisters. 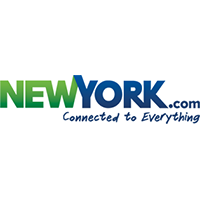 New York.com is an information site that offers information about dining, theater, living and things to do in New York City. It is also a sales site. Tickets can be purchased for events and attractions. There are reviews of restaurants, theater shows and attractions. There is information shared about real estate in New York City and there is a classified section that lists job opportunities. There are discount options that can be accessed by clicking on the banners that advertise the discounts. There is both a toll free and a local phone number posted at the bottom right hand corner of the landing page for customer service.